Moscow city authorities have given permission to organizers of the rally on Pushkin Square, which is devoted to the forthcoming parliamentary elections. ­The event due to take place on May 17 was agreed upon with the city government, Lev Ponomarev, head of the organization For Human Rights, said on Tuesday. He is expecting 2,000 people to come to the rally and concert in downtown Moscow. The Mayor’s Office initially banned the event, Ponomarev told Interfax. However, human rights activists sought help from human rights ombudsmen in Russia and Moscow Vladimir Lukin and Aleksandr Muzykantsky. 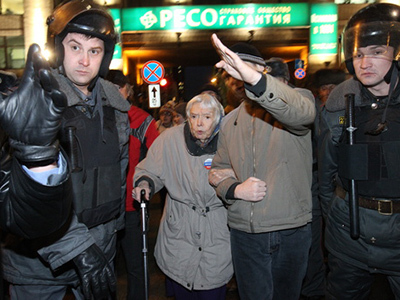 They also asked head of the presidential council on human rights Mikhail Fedotov to interfere. “At some stage, that worked,” Ponomarev explained. 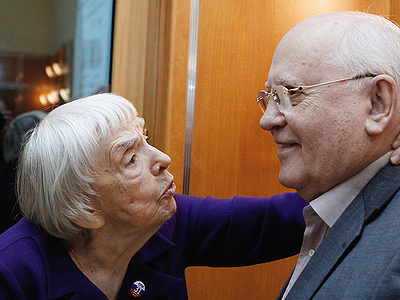 Other organizers of the action are head of the Moscow Helsinki Group Lyudmila Alekseeva and leader of the movement for motorists’ rights Sergey Kanaev. Sergey Udaltsov, the head of the Left Front organization and leader of the movement for protection of the Khimki Forest Evgenia Chirikova were also among those who submitted the application. Activists are rallying in support of fair elections, as Russia is gearing up for parliamentary polls in December. The rally will be part of a campaign aimed at depriving the ruling United Russia party of “the monopoly on power,” according to Ponomarev. In the end of March, Alekseeva and leaders of other human rights organizations staged the last rally for freedom of assembly. That event also took place on Pushkin, rather than Triumfalnaya Square – the usual venue for such unauthorized actions in the past. 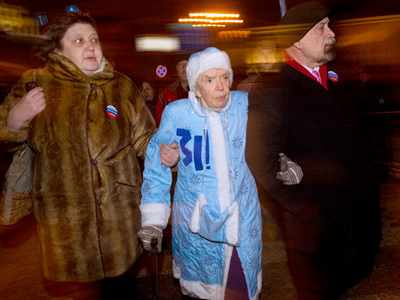 The head of the Moscow Helsinki group and her followers had decided that rallying for transparent elections was a more important task this year. 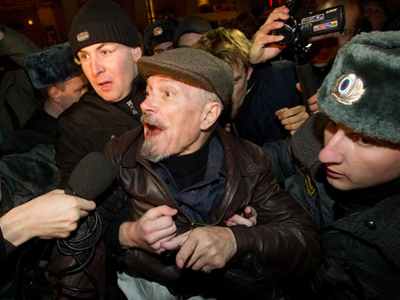 Another reason for that is that the new Moscow authorities late last year for the first time allowed Alekseeva to stage rallies on Triumfalnaya Square. Moscow Human Rights Ombudsman Aleksandr Muzykantsky pledged last week to prepare a report on how people’s right of assembly is being observed in the capital and to watch forthcoming rallies closely.